A new survey published today which combines responses from more than 130 companies working in seasonal travel from the UK to Europe has found that business are already contracting their operations in ski resorts in EU countries this season ahead of Brexit, and states that this is the beginning of much worse to come. The survey, the results of which have been published today in a report titled 'A Crisis Looming - Brexit and the British Outbound Tourism Industry' has been published by a group called SBIT (Seasonal Businesses in Travel), an organisation that has grown up to now represent over 200 outbound British travel companies, including many of the UK's leading ski companies. The companies surveyed reveal they have already been affected by Brexit uncertainty as they are posting 7% fewer British staff overseas this season. They also predict much worse once Brexit happens, in whatever form, with 25,000 jobs threatened they believe, along with large price rises for holidaymakers and diminished revenue for the UK treasury. The companies participating in the survey have a combined turnover of almost half a billion pounds and 87% of respondents are CEOs, MDs or owners. One respondent operates a number of British-run venues in the Alps. "These venues have hosted award winning musicians including Newton Falkner & Natalie Imbruglia and Comedians Al Murray & Marcus Brigstocke to name but a few. We have employed and trained 100's of British staff and given many of them their first significant job, and in doing so we have contributed to the UK tax revenues. All of that has come to an end as a direct result of Brexit. I am still waiting to see any up-side to this." The report also points to a loss of both competitiveness and possibly market share to European based multi-nationals that has occurred already. Two thirds of those in the survey have shortened their accommodation leases, reduced their programmes and introduced break clauses around Brexit into their contracts. Holiday companies plan 12 – 18 months in advance which is why Brexit has already hit these businesses, the group says. Ski Hire Shops in Méribel, Méribel Centre, Méribel Mottaret and Méribel Village. 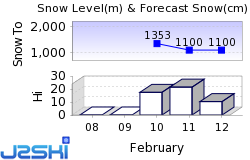 Fresh Snow is reported by 12 French Ski Areas, including Argentière, Ax les Thermes, Corrençon en Vercors, Le Corbier, Val Thorens, Val d'Isère, Valfréjus and Vars. 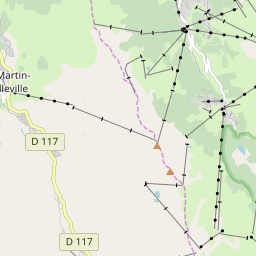 At least 79 Ski Areas in France are reported to be open.